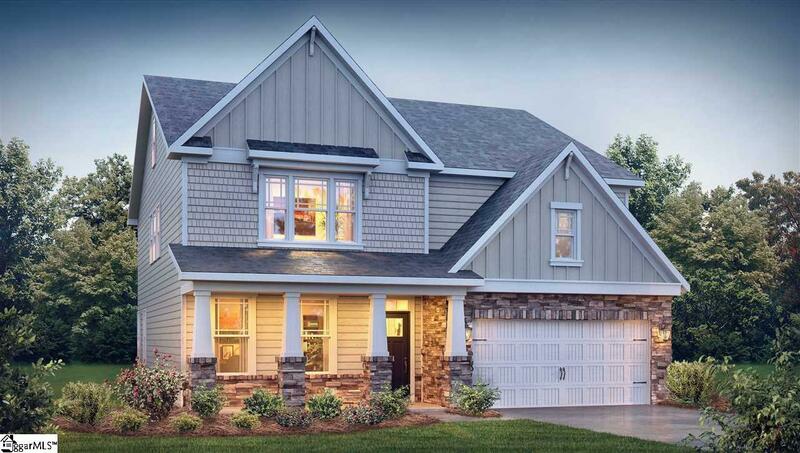 The Hampshire with 4 bedrooms, 3 baths, 2 Car Garage. 3119 Sqft. Nine foot ceilings. Granite Kitchen countertops. 5" Hardwood floors. Gourmet Kitchen with Stainless Steel Appliances, Gas Range. Butler&apos;s Pantry, Over-sized walk-in pantry in kitchen, Large Walk-In Closets (especially the master bedroom closet - it&apos;s massive) Media/Loft room. Gas Log Fireplace. Fully Sodded yard with Irrigation. Award winning Eastside High School. Many more upgrades.